A pulmonologist is a physician (MD, or DO degree) who specializes in the field of pulmonary medicine. Pulmonary medicine is a subspecialty of internal medicine. Pulmonary medicine, or pulmonology, entails the diagnosis and treatment of diseases, conditions, and abnormalities of the lungs and cardio-pulmonary system. The cardio-pulmonary system consists of the heart, lungs, blood vessels and all organs that work together to help a person breathe, in order to take in oxygen, and oxygenate the blood. 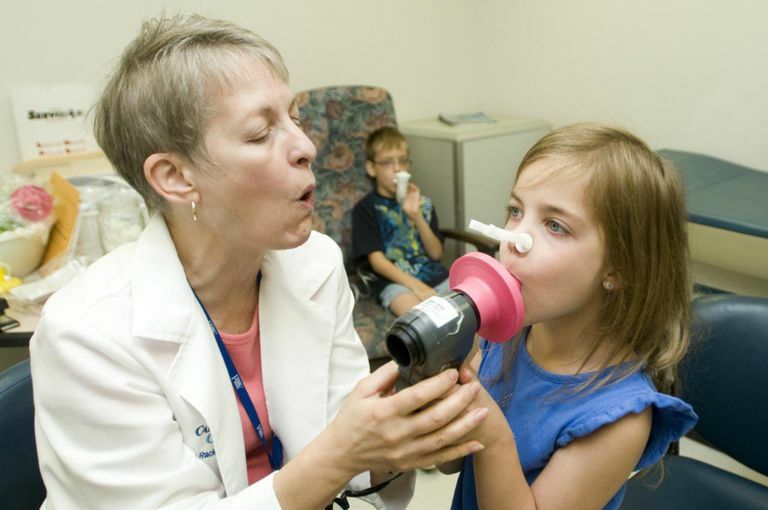 Pulmonologists treat breathing disorders, and may also specialize in some treatment of sleep disorders, severe allergies, and other lung conditions and diseases. As a pulmonologist, you might work in a hospital, medical school, research facility, clinic or private practice. If you work in the research sector or private practice you will be more likely to work a regular 40 hour week than if you work in a hospital. You can expect to work closer to 50 or 60 hours a week if you work in a hospital that requires you to be on call or if you do lots of consults. Some pulmonologists may also subspecialize in critical care medicine, treating patients in the intensive care unit (ICU). To become a pulmonologist, you will have to complete a four-year medical school program followed by a three-year residency in internal medicine. You will then have to complete one to three years of a pulmonology fellowship training program. Also, before being able to practice you will need to pass the United States Medical Licensing Examination (USMLE) and most internists must become board certified in internal medicine, which you can obtain by passing the board exams. According to Medscape, the mean income for pulmonologists is approximately $242,000. Of the 25 specialties surveyed, pulmonologists were among the middle ranks in compensation. More than one-third of pulmonologists earned $200,000 to $299,000. About 13 percent earned $400,000 or more, while 14 percent earned $100,000 or less. How much you make can depend on what type of facility you work in and what area of the country you work in. Currently, pulmonologists in the south central region earn the most with a mean income of $328,000. The next-highest earners were physicians in the west with a mean income of $280,000.